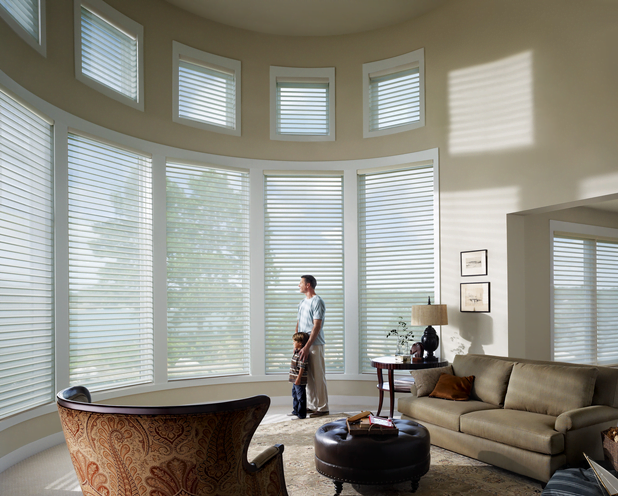 With the advent of cellular shades, a.k.a., honeycomb shades, thermal protection is now synonymous with lightweight window coverings. Their design ensures that a pocket of air is captured within the cellular pocket, forming a barrier between the temperature of the window and the temperature of the room. 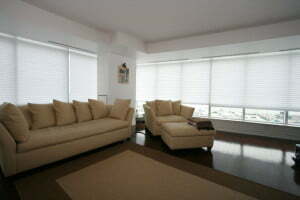 Cellular shades continue to rise in popularity because they are both attractive and effective. Motorized operation helps homeowners take advantage of their multiple tilt orientations, which incorporate both transparent and privacy options within the same shade. 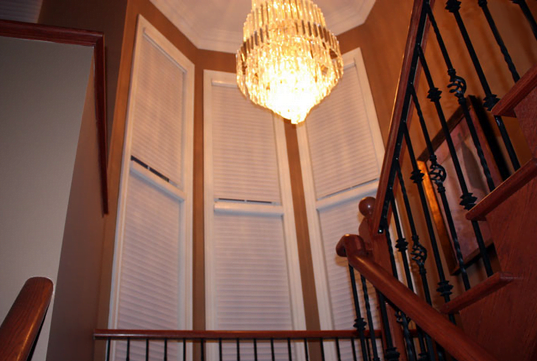 Cellular designed window treatments are a recent addition to window coverings. Their emergence coincided with the innovative application of tubular motors for window shade automation. The two were a natural fit and cemented the bond between multiple-functioning tubular motors with variable-position blinds and shades. In fact, this very union precipitated the advent of shade orientation which permits both transparency and privacy in a single, cellular panel. Cellular shades have proven themselves a viable means to enjoy the view from window walls and oversized windows while simultaneously controlling sunlight and ensuring privacy. Cellular shades live up to their reputation for providing an effective thermal barrier against both heat and cold and have been designated an R-Rating by many energy companies. 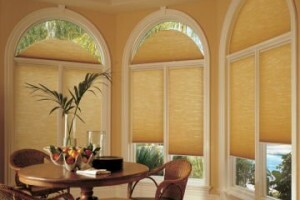 Cellular shades are unsurpassed in beauty, with an astounding array of variations. Cellular Applications for Arches: Arched windows may be the most difficult windows to successfully cover, especially if you want functionality. 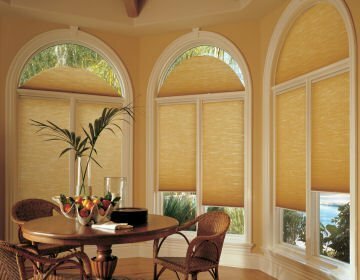 Thankfully, motorized cellular shades for arches are completely operational, and beautifully enhance arched window configurations. Cellular Applications for Transoms and Adornment Windows: Modern architecture features huge banks of windows adorned with small ones that increase the presence of light. Cellular shades can be configured to any size or shape and tubular motors make them completely functional. Cellular Applications for Oversized Windows: As recently as our parent’s era, locating sufficiently large window treatments for both oversized windows and large banks of windows was nearly impossible. 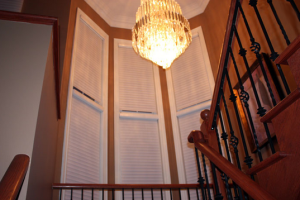 Today, motorized window coverings can be configured to any size, operate with incredible efficiency, and are aesthetically amazing. Never before has light and airflow management been so practical – for any homeowner, with any window configuration. Installation costs are quickly offset by year-round energy savings which are further enhanced by the fact that they are fully-functional on every window. From this day forward incorporating motorized cellular technology with new or existing architecture will not only further the purpose of saving energy, it will contribute to both the beauty and comfort level we desire. Garden porches can be effectually managed during even the hottest seasons, and atrium windows can be closed to chill night air. All this, without compromising the exquisite allure of a tastefully adorned home. 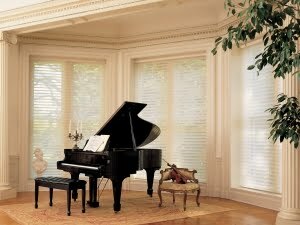 Motorized cellular shades are a welcome addition to window coverings.